Do you have alignment issues with your lowered Honda S2000? 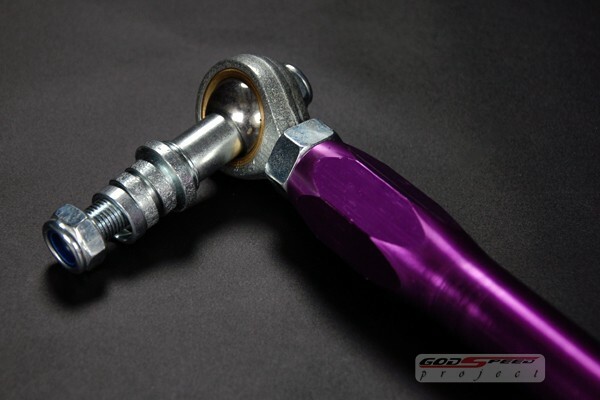 Check out this S2000 anti bump steer kit from Godspeed. When a car is lowered the steering arms have to arc upward to the knuckle. Since front wheel camber changes with suspension motion the steering will work best when the steering arms are near horizontal. Godspeed Project reduces bump steer to nearly non-existent and it also allows a larger range of rear toe adjustment. By minimizing bump steer, the car is more predictable when driving. This Godspeed Anti Bump Steer Kit replaces the rear toe arm in the S2000. This new arm solves many common problems of the S2000’s geometry after lowering ride height.